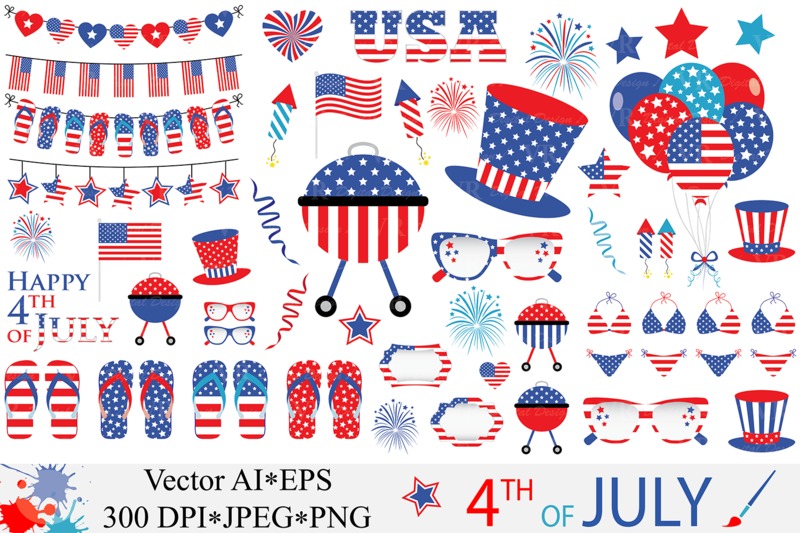 4th of July Clipart / USA Patriotic Vector Graphics / Independence Day Illustrations includes 51 4th of July graphics in red and blue, stars and stripes, such as USA flag, flip flops, USA bikini, barbecues, sunglasses and many others. All the images are saved at 300dpi and are app. 11 inches at their tallest or widest point. Perfect for scrapbooking, product design, printed paper items, card making, invitations, website designs and any other creative projects you have in mind.